For those of you who don’t know me, I am a bit of a hoarder when it comes to Windows Phone applications. You can find a list of the ones that I currently have installed here. Now, although I have lots of apps, I tend to go through them every so often and uninstall the ones that I haven’t used, or don’t plan on using. While I was doing this today, I noticed that I pretty much have a full house of applications in terms of the first letter of the name. As shown in the screenshot opposite. Being the geek that I am, I am now on a mission, to find a useful, and I stress useful, application, such that I can indeed have a full house! 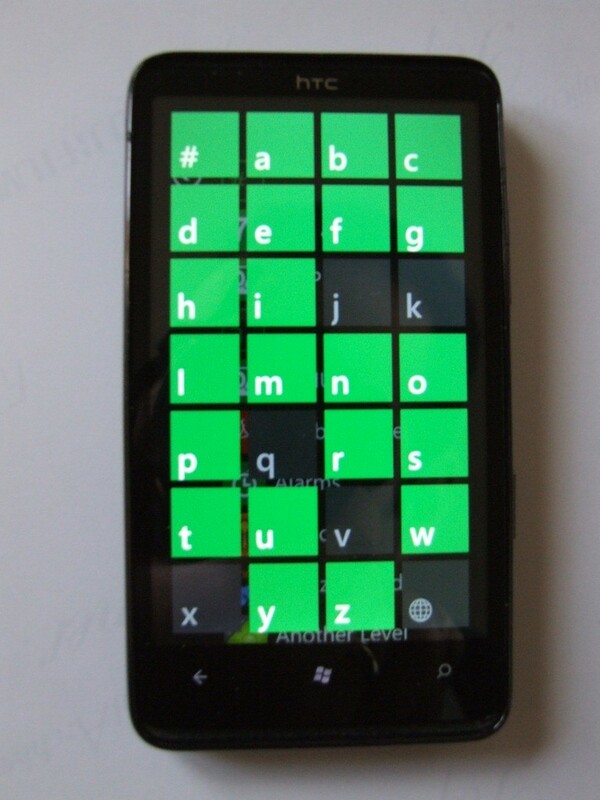 Are there any Windows Phone 7 applications that you think would be useful to me, that could help me complete my set?